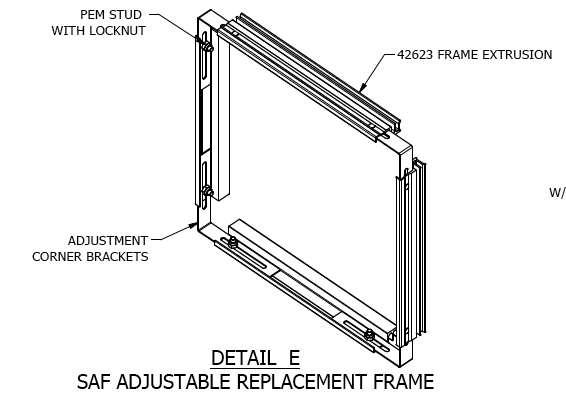 SAF Simple Fix, a Single Building Panel Replacement Kit SAF – Southern Aluminum Finishing Co, Inc. 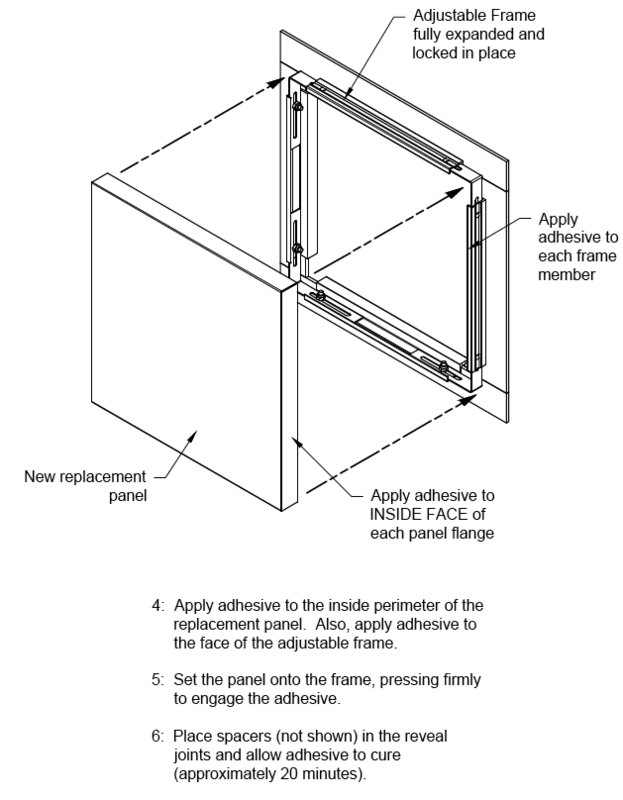 Need to replace a single SAF C4000 / M4000 RainScreen panel without removing undamaged panels? 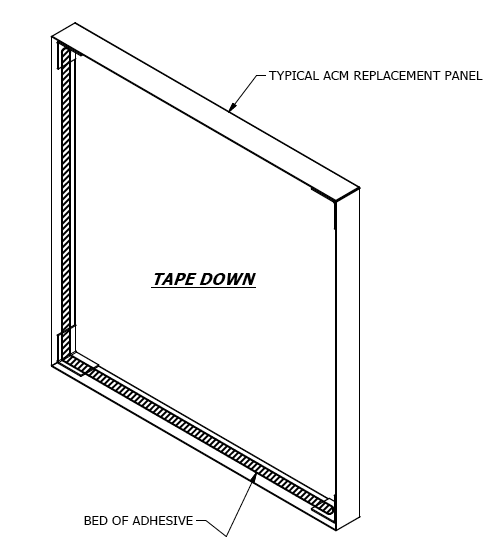 SAF Simple Fix Panel Replacement Kit enables quick replacement of a single, damaged SAF ACM or Metal panel in the field, without surrounding cladding panel removal. Works with new and existing SAF C4000 / M4000 RainScreen panel systems. Saves time and job site complications, minimizes maintenance costs and site disruptions. Contractors no longer need to pull apart whole sections of an exterior building panel wall to easily return a building wall to its original appearance. 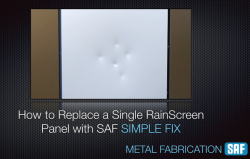 With Simple Fix, your SAF RainScreen panel installation will continue to function like new. Traditionally, when a single panel in a RainScreen building panel system became damaged, disassembly and removal of several adjacent wall panels were required. With the SAF Panel Replacement Kit a contractor need only cope with the damaged panel, saving time and job site complications. The above SAF Single Panel Replacement Kit FAX Pages may be downloaded in a single PDF file: Simple Fix Single Panel Installation Diagrams. 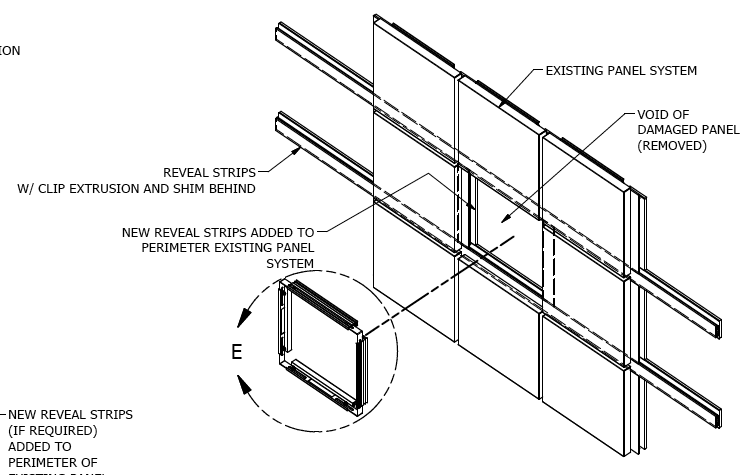 The above are select, Single Panel Installation Previews. A complete step-by-step manual in PDF form may be downloaded: Simple Fix Single Panel Installation Manual.